For those with a passion for running, whether just starting out or experienced athletes, Running Fitness contains the ideal mix of information and advice to help readers get the very best out of their running. 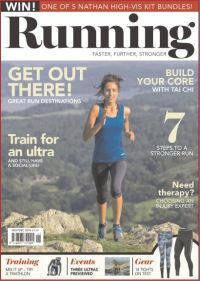 From improving times to taking on a marathon, the subjects covered in this magazine cover all aspects of running including training, nutrition, injury prevention, products and motivation. This is a magazine not just about the sport of running but keeping fit and healthy as part of readers’ everyday lifestyle. With many runners competing in events around the country there’s also an essential guide to upcoming events plus reviews of many races. A must-read for anyone for whom running is part of their life. Published in English - Monthly. Allow 6-10 weeks for initial delivery. You will now be redirected to our gift site where you can purchase a gift subscription and create a custom card for the recipient. Bursting with creative and innovative ideas to help readers create the home of their dreams, the specialist advice and inspirational guides in GoodHomes are invaluable.